The ideal companion for both students of history and lovers of film. Forgotten Hollywood Forgotten History highlights character actors of Hollywood’s Golden Age, and films telling America’s story. The book has won FIVE national accolades, including a Gold Medal from the World Book Awards; and First Place from the 2009 USA Book News National Best Books Awards. 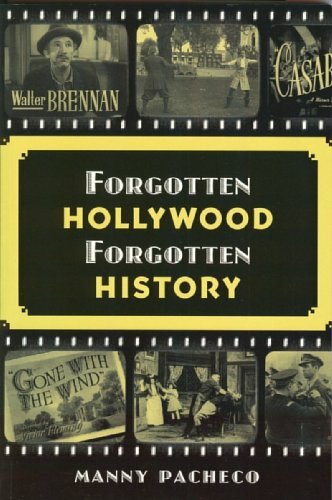 The Academy of Motion Picture Arts and Sciences, American Film Institute, Hollywood Heritage Museum, Screen Actors Guild Foundation, and Writers Guild Foundation libraries are a number of prestigious locations that currently house Forgotten Hollywood Forgotten History. Purchase Forgotten Hollywood Forgotten History here. Click on the BUY NOW button on the Navigation Bar, or visit the Book Premium Stores.